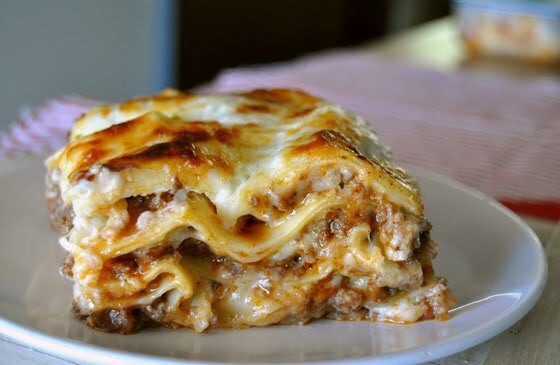 This is a recipe for lasagna how I've made it and ate it in Croatia for most of my life. With slight variations, this is how we make it, with grated cheese, Mozzarella, Gouda, whatever light cheese you have on hand basically, not Ricotta cheese. And Bolognese sauce made a little bit more tomatoey ans saucy than if you were just doing it for spaghetti or some other purpose. 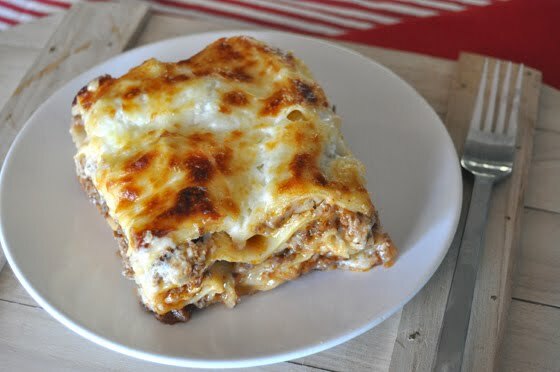 I am not a big fan of lasagna here because it is just so different, so couple of times a year I treat myself to this calorie bomb. Everyone who tired it loves it, and if you want a little different version of what you usually make, do try this! I mean, it's pasta, Bolognese and cheese with yummy Béchamel! Yum! Also, I made this before my Croatia trip and before my birtday. When I didn't have my new pasta maker machine. So I used pre-made noodles. 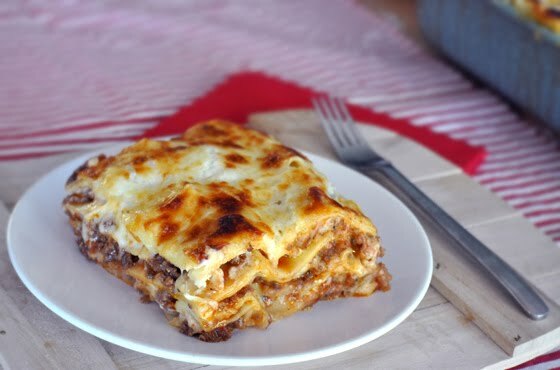 I am totally fine with that, but next lasagna I make I will try making my own from scratch! Heat up the oil in a saute pan and put onions in on medium heat. Saute until soft and translucent. 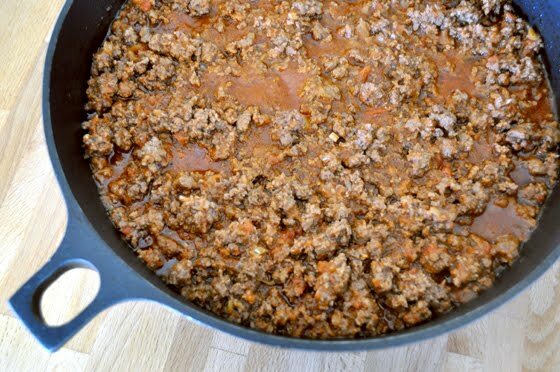 Add the beef and when it gets browned add spices salt and pepper, mix it and then add the tomato concentrate and crushed tomatoes. Cook for ten minutes and add water, cook for 5 to 10 more minutes and set aside. 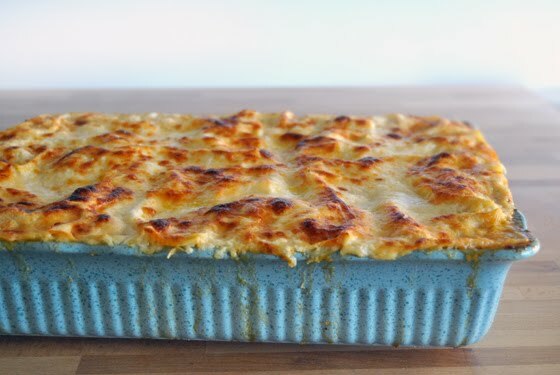 It is important to make the sauce a little thinner, or saucier, (just like with Béchamel sauce) because it will help soak and cook the noodles. 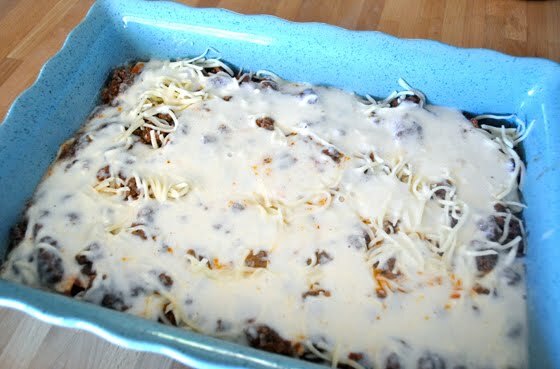 Prepare grated cheese ( I use at least one 16oz bag of grated cheese, usually Italian mix or mozzarella)and start layering. I start with little Béchamel on bottom, then dry noodles, Bolognese, grated Cheese and then Béchamel again. Here I go ahead and use some extra Parmesan cheese for topping as well. Before cutting into it, let sit for at least 15 to 20 minutes. You can eat it just like this, or pair it with some nice light salad. I would go for the greens here. And I am not sure I would recommend serving garlic bread or something with this because it is a heavy dish as it is...it just seems a bit too much. oh my! This looks delicious! 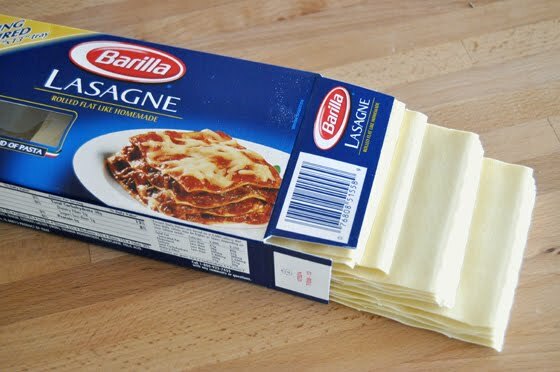 we love lasagna! Thank you, I hope you give it a try, it really is good! Love it! 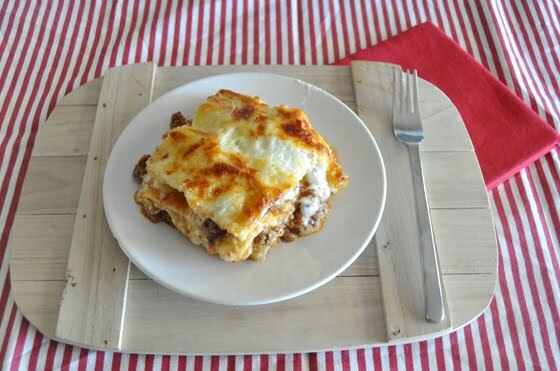 What is that table mat that you used for the lasagna bowl? Is that wood? Saw it the first time. A great idea.